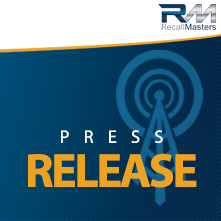 Laguna Hills, CA– May 31, 2016 – Recall Masters, Inc., a leading provider of automotive recall news, data, training, and communications, today announced the launch of its Rental Car Fleet Monitoring Service. The new service features daily alerts and instant recall discovery through Recall Masters’ API and batch processing engines. SMART Reports help rental car agencies expedite the identification and prioritization of grounding and repairing any recalled vehicles, minimizing downtime and maximizing consumer safety. The service is fully scalable. Rental car agencies of any size, from one location to major chains, now have a turnkey solution to check their entire fleet of vehicles for recalls across major brands. According to Christopher Miller, President of Recall Masters, car rental agencies are increasingly held liable for renting out vehicles that have open recalls. “With rising litigation there is a real need for car rental agencies to have solutions in place that not only mitigate risk to corporate and franchise operators, but further protect the consumer. While the consumer is in search of speed and value from a car rental agency, it should not come at the expense of their safety. Car rental agencies want the same outcome and now have access to an effective and efficient solution that complements both their business operations and consumer initiatives,” Miller stated. Recall Master’s Rental Car Fleet Monitoring Service provides actionable information that is organized and presented in a user-friendly format, easily understood by local managers and franchise operators. The decentralized managed app ensures rapid response of any recalled vehicle management at the local level. It enables rental agencies to monitor a nationwide fleet of vehicles by automatically distributing reports, simultaneously to each store. Recall Masters is dedicated to helping expedite the repair of recalled vehicles and make the roadways safer for everyone. Greater recall awareness and proactive management helps automakers protect their brand and build trusting relationships between automotive dealers, rental car agencies, auto auctions and consumers alike.